Alien Explorations: Necronom V references mobile homes and the Fisher Price Family Camper? 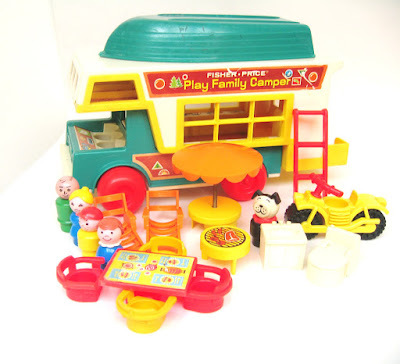 and the Fisher Price Family Camper? Fisher-price toys that Giger references in his work? Another Fisher Price toy possibly referenced in a Giger painting has now been identified. Necronom V becomes the family camper for the postapocalyptic family who are both passengers and the vehicle itself. Perhaps it also Fisher Price toys offers proof once more that extra-terrestrials visited the planet Earth hundrds of years ago, but in doing so shows that the great Mayan king Pakal Votan pilots a rocket ship that transformed into family camper mobile home. 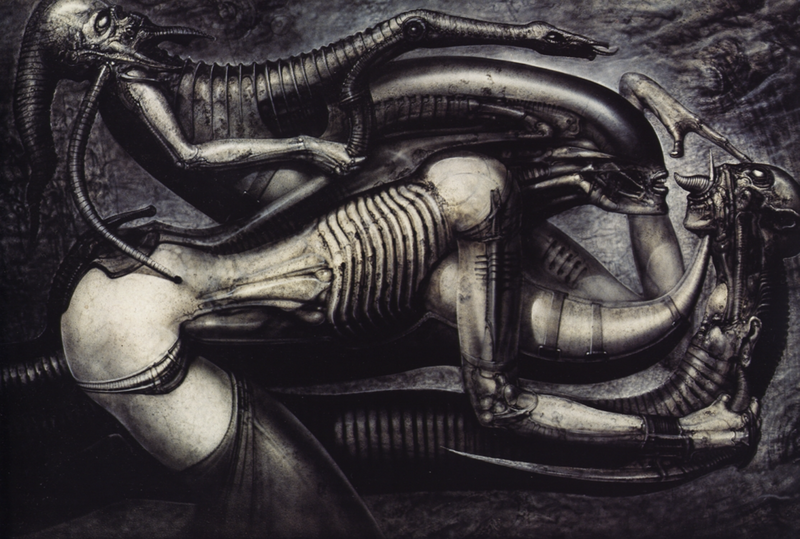 One might suggest that Giger had a general interest in the oddity of these vehicle and it would be as if he used the toy as central point of reference for those associations. Perhaps he might not have necessarily consciously realised it at the time but once he looked back, it might have dawned on him what it was all about. So my vague interpretation is that the front of the long head of the biomechanoid female is a streamline version of the front overhang merged with the idea of the upturned boat. The wheels become her buttocks and shoulders. The main side window becomes ribcages. 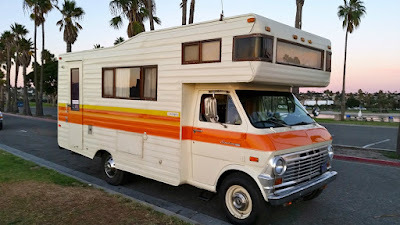 The upper biomechanoid is holding onto handlebars suggestive of the yellow side frame with the diagonal dip and the family camper sticker at the top with diagonal sides. 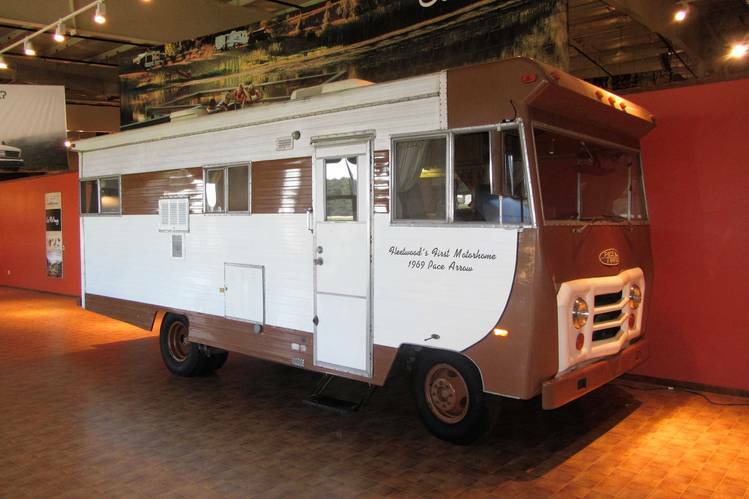 The other thing though is to also consider real motorhomes from the 1970s , here namely the Air-Cooled-Diesel 1970 Ford motorhome and the 1969 Pace Arrow at the front and see how the very front of the side has been slightly rounded.